Author: Huy Phu Pham, M.D., M.P.H. 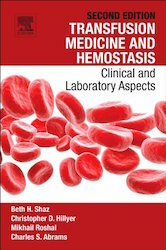 Cite this page: Pham HP HTLV and transfusion. PathologyOutlines.com website. http://www.pathologyoutlines.com/topic/transfusionmedhtlv.html. Accessed April 19th, 2019. HTLVI is rare in U.S.; HTLV2 is common in IV drug users in U.S.